When you start shopping around Contempo Suits, you'll find that grown man style is what Contempo specializes in. Grown men need not wear clothing that is designed for teens but can have style all their own. Inserch is a menswear brand that caters to grown man style and grown man style is what you're going to get with Inserch menswear. 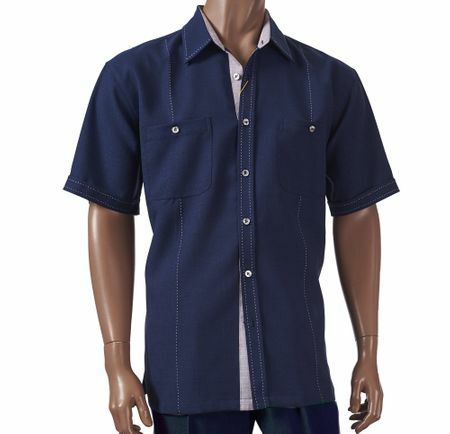 This blue short sleeve walking suit is exactly what Inserch is all about with it's clean style and easy to wear look. Featuring contrast stitching on the shirt for effect, you'll love the way you look wearing Inserch menswear.